Originally published in Creation 16, no 2 (March 1994): 48-49. Evolutionists often falsely accuse creationists of believing in a flat Earth. But neither history nor modern scholarship supports the claim that Christians ever widely believed that the Earth was flat. And the Bible doesnt teach it. Christianity has often been accused of opposing science and hindering technology throughout history by superstitious ignorance. However, a closer study of historical facts shows that this accusation is ill-founded. Christianity has often been held responsible for promoting the flat Earth theory. Yet it was only a handful of so-called intellectual scholars throughout the centuries, claiming to represent the Church, who held to a flat Earth. Most of these were ignored by the Church, yet somehow their writings made it into early history books as being the official Christian viewpoint. The earliest of these flat-Earth promoters was the African Lactantius (AD 245325), a professional rhetorician who converted to Christianity mid-life. He rejected all the Greek philosophers, and in doing so also rejected a spherical Earth. His views were considered heresy by the Church Fathers and his work was ignored until the Renaissance (at which time some humanists revived his writings as a model of good Latin, and of course, his flat Earth view also was revived). Next was sixth century Eastern Greek Christian, Cosmas Indicopleustes, who claimed the Earth was flat and lay beneath the heavens (consisting of a rectangular vaulted arch). His work also was soundly rejected by the Church Fathers, but liberal historians have usually claimed his view was typical of that of the Church Fathers. Many such historians have simply followed the pattern of others without checking the facts. In fact, most of the Church Fathers did not address the issue of the shape of the Earth, and those who did regarded it as round or spherical. In 1828, American writer Washington Irving (author of Rip Van Winkle) published a book entitled The Life and Voyages of Christopher Columbus. It was a mixture of fact and fiction, with Irving himself admitting he was apt to indulge in the imagination. Its theme was the victory of a lone believer in a spherical Earth over a united front of Bible-quoting, superstitious ignoramuses, convinced the Earth was flat. In fact, the well-known argument at the Council of Salamanca was about the dubious distance between Europe and Japan which Columbus presented  it had nothing to do with the shape of the Earth. In 1834, the anti-Christian Letronne falsely claimed that most of the Church Fathers, including Augustine, Ambrose and Basil, held to a flat Earth. His work has been repeatedly cited as reputable ever since. Englishman Draper convinced himself that with the downfall of the Roman Empire the affairs of men fell into the hands of ignorant and infuriated ecclesiastics, parasites, eunuchs and slaves  these were the Dark Ages. Drapers work, History of the Conflict between Religion and Science (1874), was directed particularly against the Roman Church, and was a best seller. Meanwhile White (who founded Cornell University as the first explicitly secular university in the United States), published the two-volume scholarly work History of the Warfare of Science with Theology in Christendom, in 1896. While many will have lost their faith through the writing of such men as Irving, Draper and White, it is gratifying to know that the following encyclopædias now present the correct account of the Columbus affair: The New Encyclopædia Britannica (1985), Colliers Encyclopædia (1984), The Encyclopedia Americana (1987) and The World Book for Children (1989). There is still a long way to go before the average student will know that Christianity did not invent or promote the myth of the flat Earth. 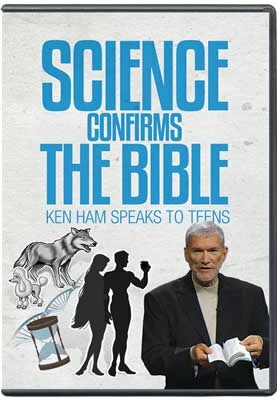 Author: Adapted by Ian Taylor for Creation Science Association of Ontario, Feature No. 30, from the book Inventing the Flat Earth: Columbus & Modern Historians (ISBN 027595904X), by history professor Jeffrey Burton Russell. Summarized by Paula McKerlie. Further modified March 2004. For detailed Biblical analysis refuting sceptical charges, see other articles under Q&A: Countering the Critics: Does the Bible really teach a flat Earth? Boorstin acknowledges in his book that by the time of Columbus, most educated Europeans believed in a spherical Earth.